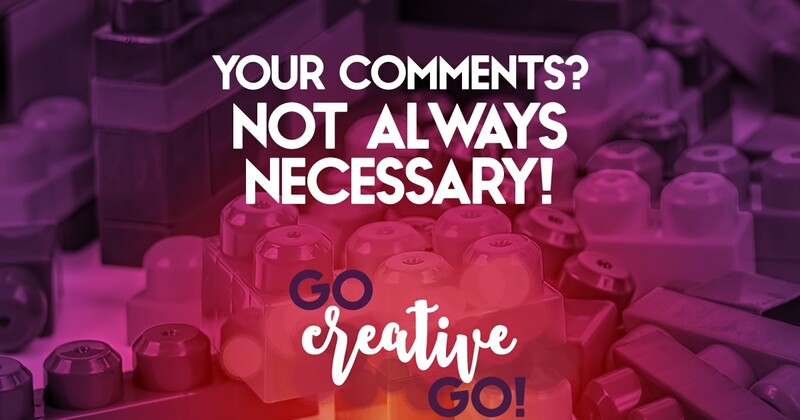 #SMMsmarts: You Don't Have To Comment On Everything! You forgot one – the Comments Just to Deliberately Piss Off Your Friends. I’ve culled a whole bunch of Facebook “friends” recently, for arguing with my actual friends’ point of view, and continuing to do so, even when they’re clearly wrong and looking like an idiot. Some people really do have too much time on their hands. That’s always a difficult one, Danny. Especially when we’re very passionate about our beliefs and in our hopes that we can make the world a better place. You do that, sir. Opinions are rough. And sometimes very hard to reconcile. I, too, have found myself biting my tongue on occasion. Usually it is on Google+, where a handful of “gentlemen” feel the need to tell me, not with these exact words – of course – that I’m but a silly woman, spouting nonsense. It’s enough to make you consider connecting, as you have, or even blocking individuals. I’ve been forced to do so in the past and it’s never a good feeling. Yeah, it gets tiring. There’s only so much energy you can expand on countering ignorance, sometimes it’s far easier just to close that door down altogether. This is incredibly helpful! I had to block a family member for a while because she was posting “wow” on pretty much every thing I wrote for my business page. But I never thought about assessing what I was saying. As an extrovert, I tend to always want to contribute. This helped me realize I should *really* pay more attention to what I’m writing (and really — saying in person) as to whether or not it adds to full conversation. You nailed it, Gina! Just spending two seconds assessing and determining will stop the comments by rote and add more value to the conversation. I think, sadly, that there’s a comment first, think about the comment second mentality taking a foothold of late! Giving unsolicited advice (to anyone, especially strangers) can actually be very annoying. Also, we should always be aware that we are getting just a tiny fraction of a story on a blog, and have no idea what the person tried or hasn’t tried, what are her unique circumstances and whether what we think is a good idea to try is actually useful or not. Unless the person specifically asks for tips & advice, I’d recommend to keep it empathetic. A little confused, because nowhere in the post do I state you should offer unsolicited advice. My first point says you should do your research before you take part in a discussion. Nothing about acting as an adviser or “coach.” As in, do the research before you offer an opinion. Opinions are not advice, solicited or otherwise. They’re simply opinions. Sanitize Your Social Media Streams And Connections The ONE Thing Your Blog Posts Really MUST Have!